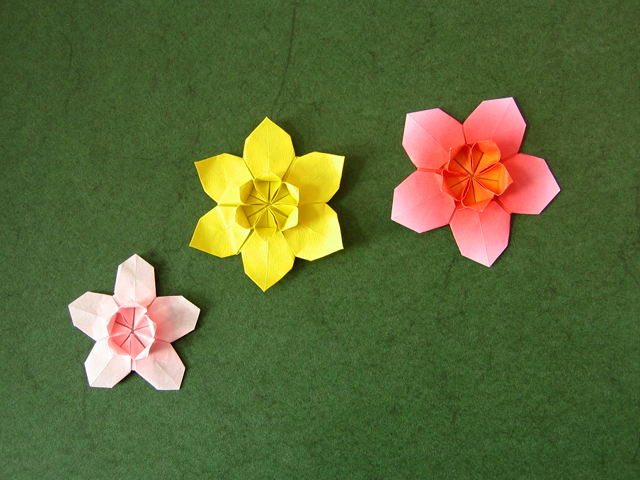 After folding the yellow Sakura Star, which reminded me of a daffodil, I decided I had to fold the model from a hexagon to get six petals. After all, daffodils have six petals, not five. I also wanted to see how a color change would reflect a more "cherry blossom" feel of the model. Sara these are adorable. Do you have instructions on how to fold them?